Is Priyanka Chopra headed towards yet another big hit? 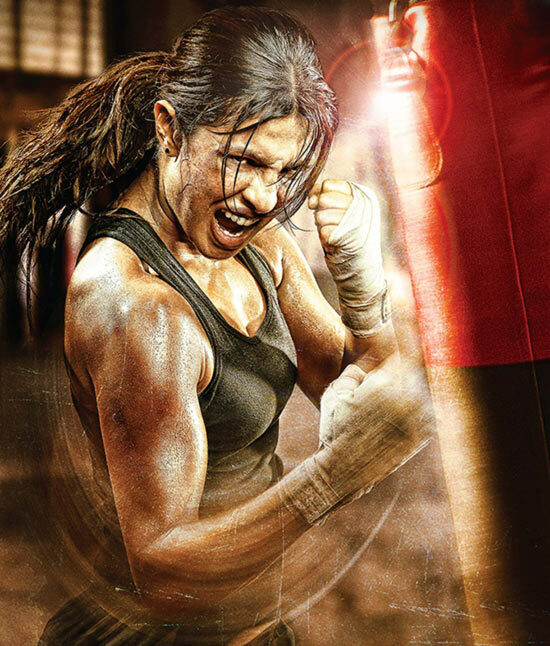 Omung Kumar's Mary Kom hasn't just opened on a high note at the box office, it has also garnered appreciation for Priyanka Chopra's performance. Even though PeeCee admitted she cannot take credit for male-oriented blockbusters she was a part of, like Krrish 3, the Don series, and Agneepath, she has quite a few praiseworthy performances to her credit. While Mary Kom enters its first week in theatres after a promising start, here's looking at 10 of Priyanka Chopra's biggest hits where her contribution has indeed counted. The film made all the right noises in the days leading up to its release even though the scale of this Sanjay Leela Bhansali production was not as big as recent movie hits based on sports, like Bhaag Milkha Bhaag and Chak De! India. For Priyanka Chopra, the film has had a much bigger opening than Fashion that fetched her a National Award. 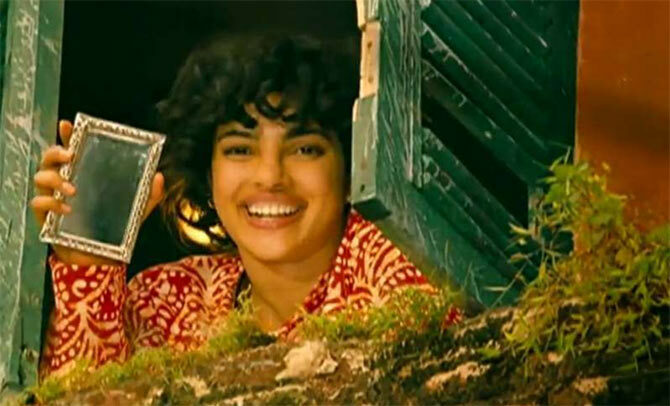 Even though Ranbir Kapoor played the title role in Barfi!, Priyanka stood out with her sensitive performance as Jhilmil. The film had a reasonable opening but went from strength to strength at the box office, thanks to strong word of mouth, eventually crossing the Rs 100-crore mark. Priyanka even went on record to say that she was disappointed when she wasn't awarded the Best Actress for this film. Ranveer Singh and Arjun Kapoor played the titular characters here but at the center of all the action was PeeCee. Whle she managed to stand out with her spirited performance, the film had a good run at the BO. Yet again, it was Priyanka, at the center of the action in this feel-good comedy where John Abraham and Abhishek Bachchan played pretend-gays. With three men vying for her attention -- including Bobby Deol -- in a comedy of errors type plot, Priyanka left quite an impression with her golden bikini and desi girl act in the film. Kaminey may have had Shahid Kapoor in a double role, but his leading lady Priyanka delivered an equally endearing performance in this Vishal Bhardwaj film. With Fashion came a National award for Best Actress for Priyanka, who played a rising model in the Madhur Bhandarkar film that claimed to portray the underbelly of the Indian fashion industry. As the central character of the film, she pretty much carried the film on her shoulders. If this film was made today, it would be a much bigger success than it was back in 2004. Priyanka's chemistry with Akshay Kumar as well as Salman Khan in this runaway hit would have been great to watch even now. There was a time when Priyanka delivered one hit after another with Akshay Kumar. In Vipul Shah's Waqt, Priyanka made her presence felt, even though Amitabh Bachchan lead the show. Aitraaz had Akshay Kumar, Kareena Kapoor and Priyanka Chopra in the lead, and was 'inspired' from the Demi Moore starrer Disclosure. In an author-backed role, Priyanka's impressive portrayal of a woman scorned was met with many awards and praise. In her first ever leading lady role in a Hindi film (she had a special appearance in Sunny Deol-starrer The Hero:LOve Story Of A Spy earlier), Priyanka made her presence felt in a major way, even though another beauty queen Lara Dutta featured alongside her. The love triangle also starred Akshay Kumar.